All over the world Railway transportation is increasingly used, as this mode of transport is more energy efficient and environmentally friendly than road transportation. Trains move on steel rail tracks and wheels of the railway vehicle are also flanged Steel wheels. Hence least friction occurs at the point of contact between the track & wheels. Therefore trains carry more loads resulting in higher traffic capacity since trains move on specific tracks called rails, their path is to be fully guided and there is no arrangement of steering. Clear of obstruction as available with road transportation, so there is a need to provide control on the movement of trains in the form of Railway signals which indicate to the drivers to stop or move and also the speed at which they can pass a signal. Since the load carried by the trains and the speed which the trains can attain are high, they need more braking distance before coming to the stop from full speed. Without signal to be available on the route to constantly guide the driver accidents will take place due to collisions. There are basically two purposes achieved by railway signalling. 1. To safety receive and despatch trains at a station. 2. To control the movements of trains from one station to another after ensuring that the track on which this train will move to reach the next station is free from movement of another train either in the same or opposite direction. This Control is called block working. Preventing the movement from opposite direction is necessary in single line track as movements in both directions will be on the same track. 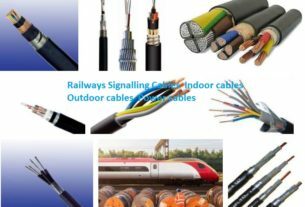 Apart from meeting the basic requirement of necessary safety in train operation, modern railway signalling plays an important role in determining the capacity of a section .The capacity decides the number of trains that can run on a single day. 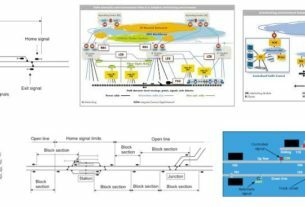 By proper signalling the capacity can be increased to a considerable extent without resorting to costlier alternatives. The fixed signals provided by the side of the railway track with indication in the form of colour lights are the actual authority to a driver to get in to the portion of the track beyond the signal. At stations the trains may be received on any one of the platform lines. To take the train to any specific track, points are provided. 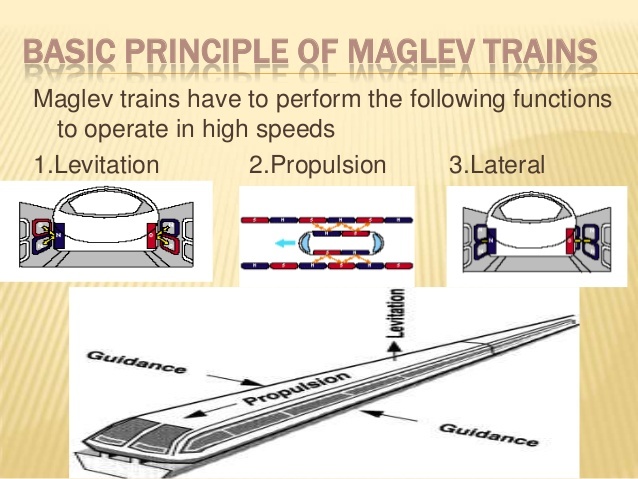 The purpose of the point on the track is to divert the train from one track to adjacent one. Hence the signal has to be connected to the points in an arrangement called interlocking. This Interlocking arrangement only ensures that a point is correctly set for the particular route or a track and the signal conveys this information to the driver.